In order for a Koi breeding enthusiast to accomplish a remarkable and wonderful pond with a school of beautiful colored Koi, a good and careful Koi pond construction planning is needed. Everyone will desire that their crystal clear water Koi pond decorated with ornamental flowers and a well- landscape design to fascinate your friends and visitors alike? There are several key factors to be considered in order for your own pond design to perfectly fit in when constructing a Koi pond. Basically, Koi are hardy kind of fish that required special treatments to be satisfied. Koi ponds are very complex structures to build and need special attention to details in their construction. Every Koi enthusiast has their own specific design of their Koi pond they desired. Regardless of what ideas you have, Koi ponds must be properly planned, designed and constructed base on your requirements and specifications. Koi enthusiasts are recommended with following simple guidelines in Koi pond construction. The first pointer to take note is pond size and shape. Initially, most new Koi enthusiasts want to have a large pond. Large ponds are good to look at but these are difficult and expensive to maintain especially for newbie in Koi breeding. In general, build only the pond that you can afford. The pond size and shape will also affect the number of fish to be bread in the pond. An ideal pond must be able to carry 1500 gallons of water which will allow for fish growth. The preferable pond dimension is 9 feet long, 8 feet wide and a minimum depth of 4 feet 6 inches. Koi usually grow big and healthy in larger ponds. After determining the size and shape of the pond, the location of your Koi pond must be chosen properly. Important considerations should be made in choosing the spot for your pond. Koi needs proper lighting and shading to protect it from direct sunlight and harsh weather conditions. The accessibility and availability of utilities near your pond is important to supply the needed water and electrical requirements. The Koi pond construction must be away from trees with large roots and falling leaves. The pond should also be protected from stray animals which can prey on your Koi. Filtration is another factor to be considered in building your pond. During the planning stage of constructing your pond, your filtration system should have been determined based on the size of the pond and the number of Koi to be raised. A miscalculated system will result in poor filtration which will then require frequent and labor-intensive cleaning of the filters. This will also result in to more expenses for additional filter equipment. At worst it might result into massive fish kill due to non-elimination of waste products and harmful compounds in the pond. Koi pond construction is not an easy task to do. But the rewards of a well-constructed Koi pond based on careful planning and implementation are immense. Randy Tan is a koi breeding expert. 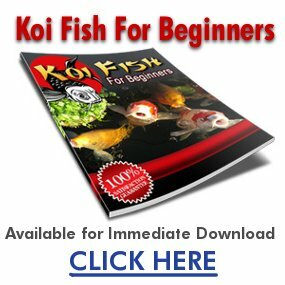 For more great tips on koi pond construction and general koi care, visit http://www.koibreedingtips.com.